Photo courtesy of Nuclear Blast. The gods of brutality and legend have given great gifts to Salt Lake City this year by way of the whispered household names of the extreme metal underground. We’ve had the likes of Obituary, Absu, Napalm Death, Taake, Carcass, Voivod, Dragged Into Sunlight and Harm’s Way grace the stages of Salt Lake with intense live shows happening just about every month. Enter Nile, part of the Summer Slaughter Tour—a tour boasting maximum brutality—crushing The Complex in Salt Lake City on Aug. 6. The full lineup consists of headliner Cannibal Corpse with Nile, After the Burial, Suffocation, Carnifex, Revocation, Krisiun, Slaughter to Prevail and Ingested. As the sole original member of Nile, Karl Sanders possesses in-depth knowledge about the band and what to expect for the upcoming show. 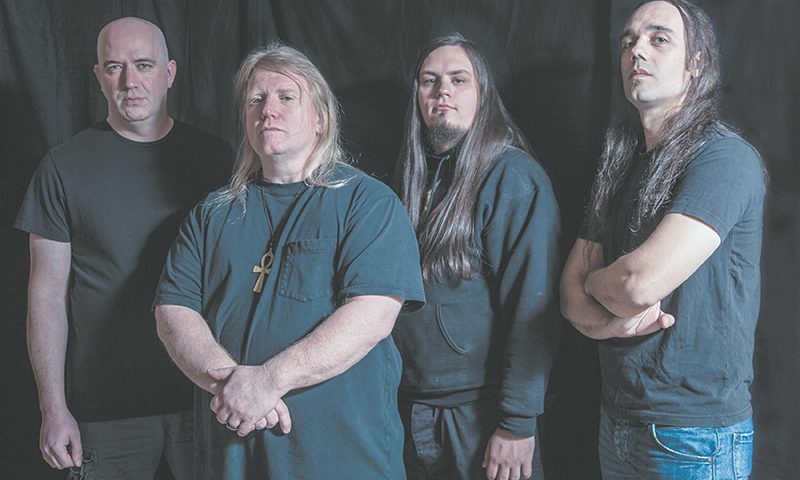 Nile hit it big with their first full-length album, Amongst the Catacombs of Nephren-Ka. Nephren-Ka is actually part of the H.P. Lovecraft story, The Haunter of the Dark. One of the things that makes Nile so unique is their lyrical content, which draws from Egyptian mythos, true and fictional. Nobody else sounds like Nile. At its core, the band is death metal—technical yet brutal—steeped in atmosphere, by way of the nontraditional elements that Sanders uses, like the Baglama Saz from Turkey, a long-necked lute, and the Godin Glissentar, a fretless, 11-string guitar rooted to a seventh century instrument called the Oud. Sanders also provides a differing vocal approach: He performs more guttural vocals while the main vocalist executes the death metal growl and scowl, often enunciating enough to be able to discern what the band vocalizes. “I think having your own identity is a precious thing,” says Sanders. “It’s something to hold onto and cherish: We sound like Nile. We don’t sound like somebody else. 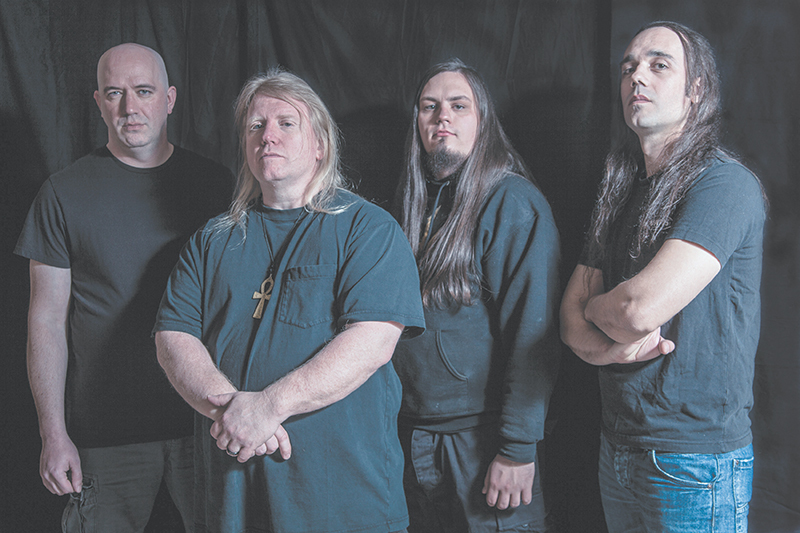 That’s the essence of an identity, and identity is everything.” The early stages of Nile had a more thrash approach, which Sanders describes as a natural progression to death metal. It took some time for Sanders, but his learning to play at more extreme tempos helped get the band to their current sound. Adding to the unique sound of Nile is a distinctive guitar tone; it’s crunchy and heavy, but it has a grit to it—kind of like how power-sanding concrete would sound. I asked Sanders about his setup to get his tone, and he said that it’s the same setup to achieve the tones for every record. “A solid-body V-type guitar (usually Dean) with a Seymour Duncan Invader Pickup into a Motu-type Drive into a Marshal Amp,” he says, also mentioning that in the early days of Nile, he used Middle Eastern–style instruments live but wore himself out. At times, he’d play the other instruments with his feet. Now, instead of moving more gear around, Sanders uses a laptop, mainly for economic reasons. While the Summer Slaughter Tour offers up a heft of brutal bands, Nile definitely stand out from the pack with their lyrical approach and distinct guitar tone. Yes, Nile have songs that will feel like you’re crushed under a massive weight, but they have songs that seem mystical and magical, just like their lyrics. See Nile with the Summer Slaughter Tour Aug. 6 at The Complex in Salt Lake City.